nlrb Archives - Page 27 of 27 - CUE, Inc. The Employee Free Choice Act didn’t get passed by Congress in 2009, but it’s coming our way in April courtesy of our friends at the National Labor Relations Board. On April 14, the National Labor Relations Board’s Final Rule governing representation case procedures goes into effect. The new rule makes major changes in the way representation case elections are handled, significantly shortening the time period of the election, making it easier for unions to win elections. Employer will also be required to provide more detailed information about their employees to the union, including home address, phone numbers and personal e-mail, if available. If your organization doesn’t have a union, and a goal of remaining that way, you should already be developing or revising response plans. With the advent of these new rules, you can’t afford to assume that you won’t be impacted. Unions have been waiting a long time for these changes, and are poised to take advantage with increased union organizing. How significant can a rule change be? The answer is potentially devastating for employers. According to newly published data from the Labor Relations Institute, the union win rate for short elections conducted from 2004-2014 was almost 30 percent higher than those elections conducted in a normal election cycle of 36-42 days. No wonder unions pushed so hard for the rule changes! Labor unions are backing efforts like the Fight for 15 campaign aimed at organizing restaurants and other so called “low wage workers” like in business sectors like home health care workers, adjunct faculty and hotel service staff. These efforts receive technical and financial support from unions like the Service Employees International Union, which is providing finance and support to the groups. 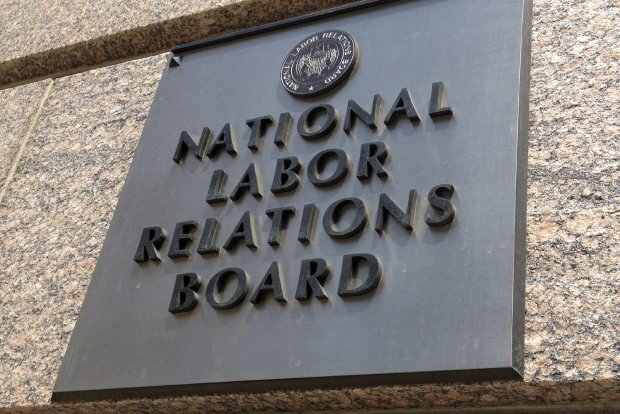 And they are getting an even bigger boost from the National Labor Relations Board. Here are some of the recent Board actions that effectively create an agency version of the old Employee Free Choice Act. Protected concerted activity – the Board has raised their level of attention on all kinds of protected, concerted activity but have exerted special focus on non-union employees working in industries like Quick serve restaurants where much of the protected concerted activity is occurring right now. “Quickie elections” – rules are being implemented on April 14th, one day before the latest protests in the Fast Food campaign. These new election rules are designed to shorten the time it takes to hold elections, making it easier for unions to organize employees and win representation elections. This should be very concerning to those experiencing Fight for 15 actions, as it is not a big stretch to imagine that some employers may see filings for elections on April 15th demonstrating at least symbolic progress for the strikers. Joint employer – the Board is reviewing 13 complaints involving 78 charges against McDonald’sUSA, LLC, McDonald’s USA franchisees, and/or McDonald’s franchisees and their franchisor, McDonald’s USA, LLC as joint employers. The concern here is that under the NLRB ruling, corporate entities are now jointly liable for employment matters along with franchise owners. Handbooks, Overbroad Confidentiality Policies – illegal to prohibit discussion of wages, many other types of confidential info. NLRB is looking for these kinds of violations, which many franchises make due to lack of training on labor matters. Micro-unions – in which a small group of employees inside tour business are allowed to form a union without including all employees. Imagine the counter clerks having a union, while the kitchen staff doesn’t. This is something that is happening right now. You can’t afford to ignore it. You can’t let some other company be the target and hope to avoid it. You can’t appease the protesters. You can’t afford to let your industry be fragmented. You have to prepare. You can get help from CUE by clicking on the link.